We have so many options for you when you are purchasing Quilters Dream Batting. Table Runner (18″ wide) is sold by the yard. Cotton for the purist in you. Made from the finest USA cotton. Quilt up to 8″ apart. Polyester batting is very resistant to wrinkles, creases, and fold lines. Quilt up to 8″ apart. Green batting is made from 100% recycled plastic bottles. Scrim and resin free; quilt up to 12″ apart. Orient is a blend of bamboo, silk, Tencel®, and cotton giving an elegant silky, soft drape. Quilt up to 8 ” apart. Blend, 70% cotton and 30% poly are specially blended and combined to create perfect machine quilting batting. Then choose the loft. Request is the thinnest loft. It’s great for hand quilting or machine quilting. Select is mid-loft and is perfect for hand quilting, machine quilting, or crafts. And now you can choose to buy just one, or buy your batting by the case. Cotton Select, Poly Select and Request, and Dream are all available by the case. Stock up and save! It might be handy to have a case on hand for all those Christmas projects. Buy one of the larger sizes and you can always cut it down for smaller projects. One more option – Poly Select and Poly Request are not only available in white, but also in black. So many choices! Whatever you may need in the way of batting, we’re sure to have it! Facebook First Friday – What’s The Deal? Tomorrow is the first Friday of the month and as always there will be a special for all our Facebook Fans. Just “like” us on Facebook and you’ll never miss the coupon code for any of the Facebook First Friday special deals. This month the special is FREE SHIPPING to US addresses! The more you buy, the more you save! It’s gorgeous, isn’t it? Paper foundation piecing will enable you to create perfect star points with ease. 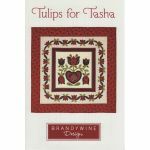 Finishing at 21″ square this makes a beautiful wall hanging. So purchase this pattern and you save some money because the shipping is FREE! to US addresses. But, why stop there? Doesn’t this quilt make you yearn for batiks? All of the Batik Cascades fade from very dark to very light across the width of fabric. This essentially gives you several shades of color in each piece. Patina Handpaints are available in blue, in green, and in blue/green with an allover mottled shading of vivid color. Okay, so now you have a pattern, and a few yards of batiks in your cart. You’re buying more so you’re saving more on shipping . . . . ‘cuz it’s FREE! to US addresses. Let’s keep going. When you finish your quilt top you’re going to need some batting. Quilters Dream Cotton Batting is available in several sizes, from craft size (46″ x 36″) to King size (122″ x 122″), and in four different lofts. Made from 100% cotton, it’s specially processed so you can quilt up to 8″ apart. Or, do you prefer Quilters Dream Poly Batting? Made with an exclusive blend of revolutionary microfibers giving it exceptional drape, breathability and comfort. This batting is resistant to bunching and shifting, so you can quilt up to 12″ apart. Can’t decide? One of each then. So now you have in your cart one pattern, a few yards of fabric, and two packages of batting. Wow. You are really going save lots…. ‘cuz the shipping is FREE! to US addresses. Head on over to our Facebook page and get the coupon code. As always, this deal will be available from Friday morning through the end of the weekend. Shop and save! What do you look for in a batting? Quality is important, of course. The ability to machine wash and dry your quilts without worrying about excessive shrinkage is always a plus. You want your needle to glide through nicely. Quilters Dream Green is all of that, plus it’s wrinkle resistant. Sounds like a dream already, doesn’t it. But that’s not all! It’s GREEN too! It’s made from recycled bottles. Every pound of Quilters Dream Green Batting keeps 10 plastic bottles from our landfills. Think of it – you can quilt away enjoying yourself AND know that you are helping the environment. Here’s how many bottles you will be keeping from the landfills with each size…. Isn’t that great?! So get quilting and saving the environment. Of course, Quilters Dream Batting is sold in many different styles and sizes and lofts and….